Don’t be tied down to the podium. 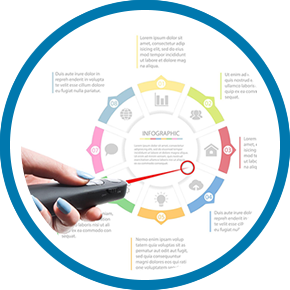 Enjoy the freedom to walk around, engage your audience, and present with a flair. 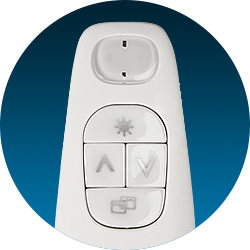 Present in large rooms and auditoriums without restriction. 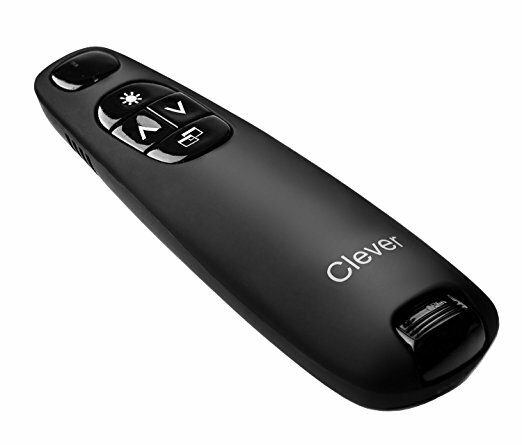 The Clever remote has 50-foot wireless range, and works where most pointers falter. 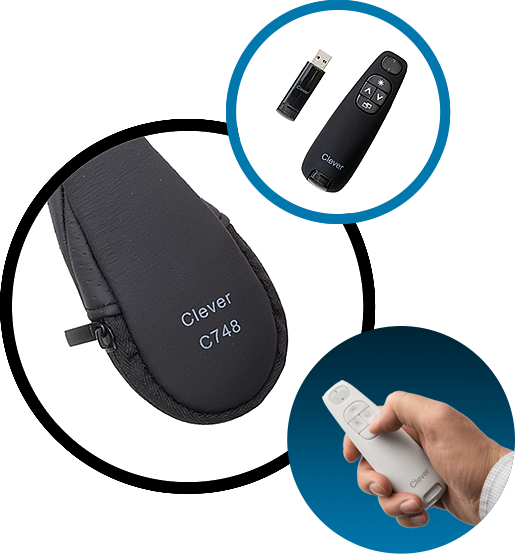 This two-piece presentation clicker comes with a handy 2.4 GHz wireless USB receiver that is compatible with Windows, Mac and Android operating systems.Laptop not working? No worries. 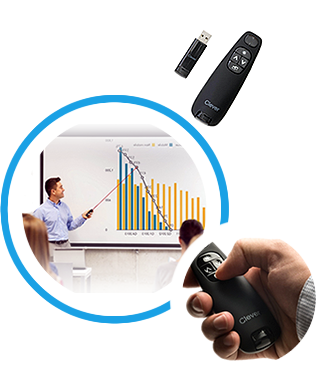 Connect your Clever remote to any computer or digital projector with a USB receiver. Afraid of losing small components? 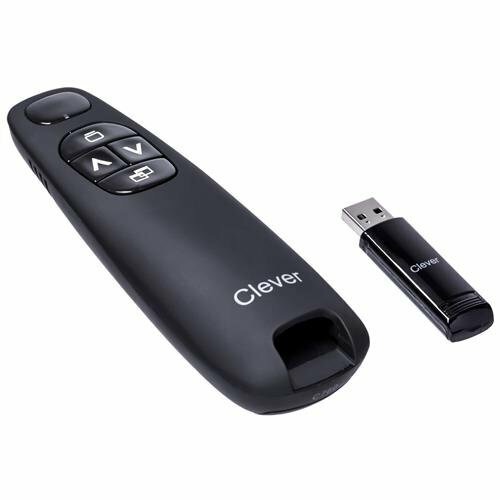 This wireless presenter features a built-in docking bay for the USB receiver, ensuring it's kept securely with the remote when not in use. 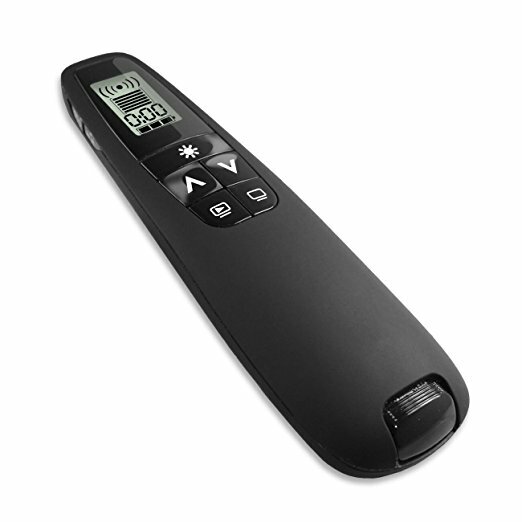 The soft grip and contoured shape of this wireless remote stay comfortable in your hand, so you can take as much time as you need to elaborate on your points and answer questions. 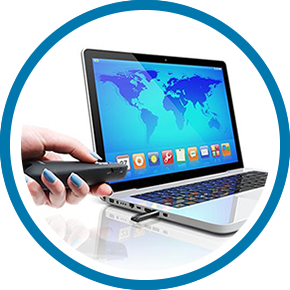 The padded carrying case will keep your wireless presenter looking like new. 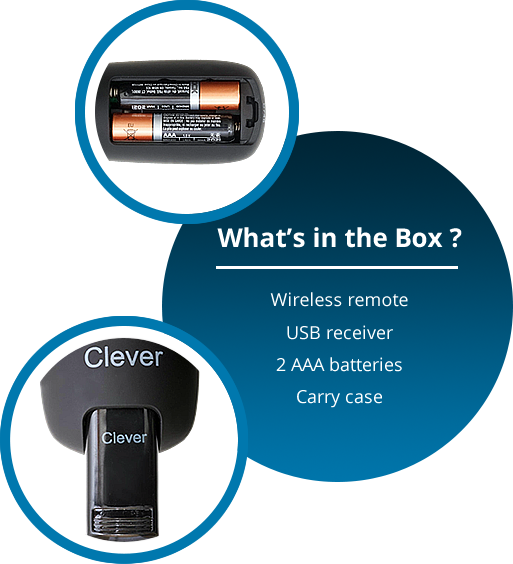 It is compact enough to fit into a small pocket in your briefcase or handbag, for easy access. Go with the color that suits your personality and presentation style. You can choose black for a sleek look, or white for a clean and refined feel. See what our clients have to say about our products. Awesome product for the price. Well built, feels good in your hand and connects without an issue. I have a macbook air. 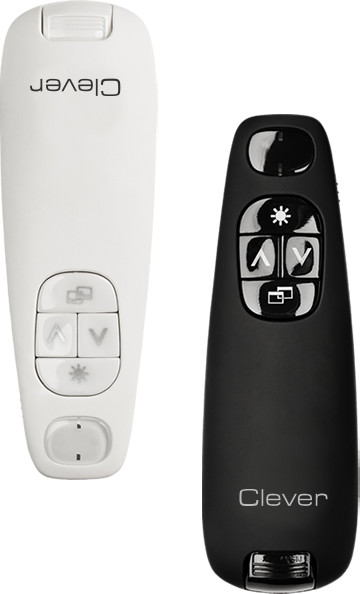 When the remote came, I tried it without a projector to see if it would advance my powerpoint. It did! It feels sturdier and more comfortable in my hand than I expected for $20. The travel case is decent and the exact right size to keep the remote safe. 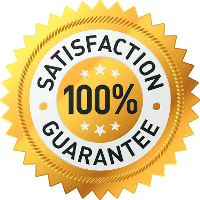 Our products come with a lifetime warranty to give you 100% satisfaction in every way. Return anything purchased from us if it proves otherwise. We will replace it, refund your purchase price, or credit your credit card, as you wish. To process a return, simply complete the contact form below indicating your order number, place of purchase and date. 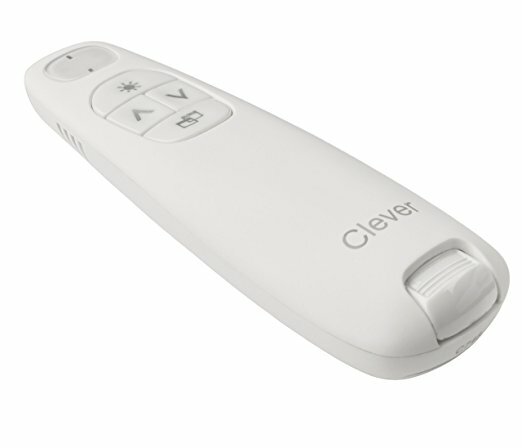 All Clever Innovators products are patent protected. 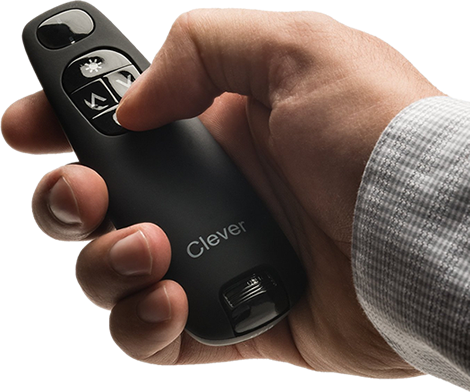 Clever and Clever Innovators are registered trademarks. ©2015 Clever Innovators. All rights reserved.